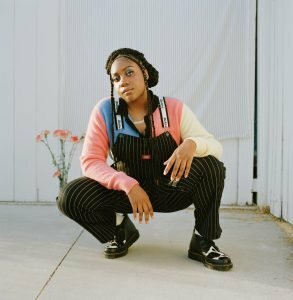 We are giving away a pair of tickets to Noname @ Crystal Ballroom on March 13. To win, comment on this post why you’d like to attend. Winner will be drawn and emailed Friday, March 8 . Would love to see Noname live!! Always up to check out new hip hop! I’ve seen noname once before and I had a BLaST. Would love to see her perform her new album! I love NONAME – she is from my hometown of CHICAGO. She is amazing would love to see her in concert with my bestie! I love Noname! This is one of the most fun ticket giveaways I have seen you post. I would soooo love to see Noname. I love her to bits and pieces! Noname’s music has touched my soul. Her music has helped me through some rough times. To attend her show would mean so much to me! Yeah! I’m excited she is coming to PDX. I’ve been listening to her the past couple weeks and would love to hear her strong voice in person! Thank you, PDX Pipeline! Noname is one of my wife’s favorite artist. Would love to win a pair of tickets so we could experience her live! Noname is great! Would be super stoked to attend at such a great venue. ahhh this would be so cool! Holy heck I would love to see Noname again!!!!! I’ve been following Noname’s career trajectory for about 5 years and would love to see her live! Noname is amazing and she is from my home town of Chicago!!! Would love to see this show. I would love to see her live!! Yay!! This is on my birthday and I would LOVE to take my girlfriend to this concert :)) I’m a poor college student so this would be a great chance to see her! I missed noname last time, I shall not make that error again damn you. Let’s give some light to this artist by packing her show! The chi town great would be fantastic to see in Portland!!! Oh this seems amazing, I would love to attend this show! Love NONAME! Would be excited to go to this show!! Yes, this would be so awesome! Ms. Noname is my favorite poet. First liked her when she was on chance’s album acid rap but she has continued great work! Would love to see live! omg i would die of happiness if i won!!!! I’d love to go to this show! OMG. I can’t miss out on this one again! I agree with everyone above, saying Noname is the best. I would love to see her. I am also from Chicago, and amazed that I’m not the only one on this thread asking for tickets, from there. Please consider me. It would be great for me to go. I’d enjoy it so much. Thank you for giving these tickets to some fortunate person, even if that isn’t me. I just went on YouTube to check out her music and was pleasantly surprised. The blend of different genres is very interesting and we would love to see her live! She’s so talented! I’d love to take my husband to this show! Awesome performer. Please choose me. Thanks. Noname live would be a spectacular show! Finally something live worth driving across the bridge for!! Sounds like a fun show! I’d love to bring my fiance! Ahhh! NoName!! My husband and I would love to go see her live! I’ve been a fan for a few years now! I’m a choir teacher in the area, and I would love to take back some videos/photos from the concert to my students as they enjoy her as well. Tried to use my tripster voucher on this show but it had already expired. Give me a second chance please.